Here are a few more Farmer's Wife blocks. Block 11, Broken Dishes. This one was skipped for a while because of all the tiny triangles. These blocks are only 6" square, so these triangles are SO small. It ended up a tiny bit wonky, but I think it ended up pretty good. Block 15, Buzzard's Roost. I really like the colors I ended up with on this one. 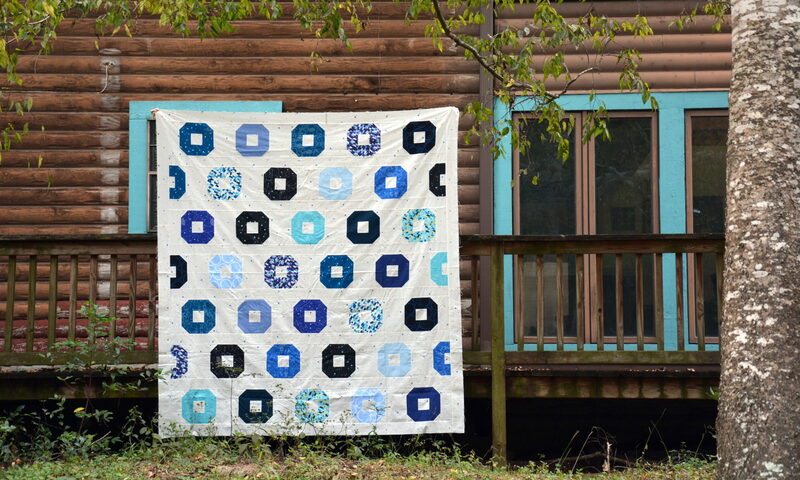 I think it will stand out really well in the quilt. Block 16, Calico Puzzle. This block was nice and easy to make. Block 17, Cats & Mice. This one had some small triangles too, but not as many, so it wasn't too bad. I actually really like how this one turned out.